AUGUSTA, GA. – The GRU College of Education (soon to be Augusta University) is accepting proposals for the 2016 Impacting Student Learning Conference though Nov. 2. Click here to view the proposal application. The ISL Conference will be Saturday, March 5 at the GRU Summerville campus in University Hall, and will feature dozens of sessions for educators, administrators and students. “The Impacting Student Learning Conference is a hands-on conference that teaches practical strategies for classroom implementation. Our hope is that everyone learns something on Saturday that they can implement on Monday,” said Dr. Judi Wilson, conference coordinator. 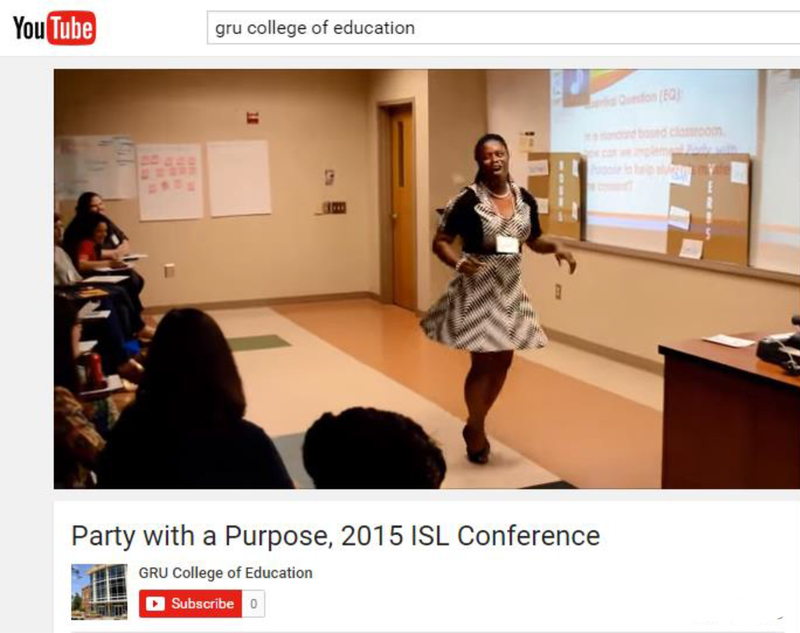 Click here to view clips of sessions from the 2015 ISL Conference. Last year, about 600 educators and students attended the conference. It is open to everyone, including students, educators, administrators, support staff, home school groups, researchers and more. Conference registration will launch soon. Graduate Students: This year, the ISL Conference will be adding a Graduate Research strand. The purpose of this strand is to allow graduate students to share research they have completed or are in the process of completing and sharing those findings with colleagues, students, and faculty. Graduate research projects can focus on anything ranging from action research to quantitative studies or from qualitative research to case studies. Graduate researchers can either participate in a poster session (a template can be requested) or present a paper. If you have any questions, please contact Dr. Andrew Kemp at akemp4@gru.edu. The Call for Proposals can be found at: http://bit.ly/isl2016call.